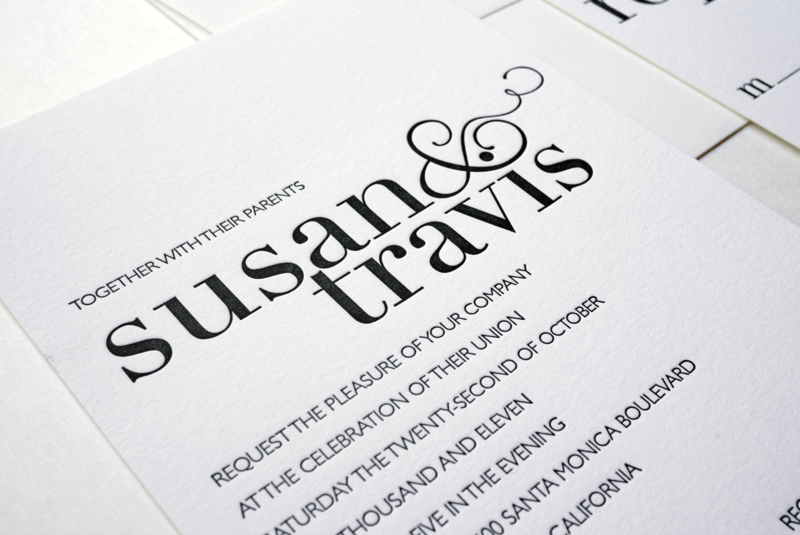 The couple wanted to keep it simple with their wedding invitation. 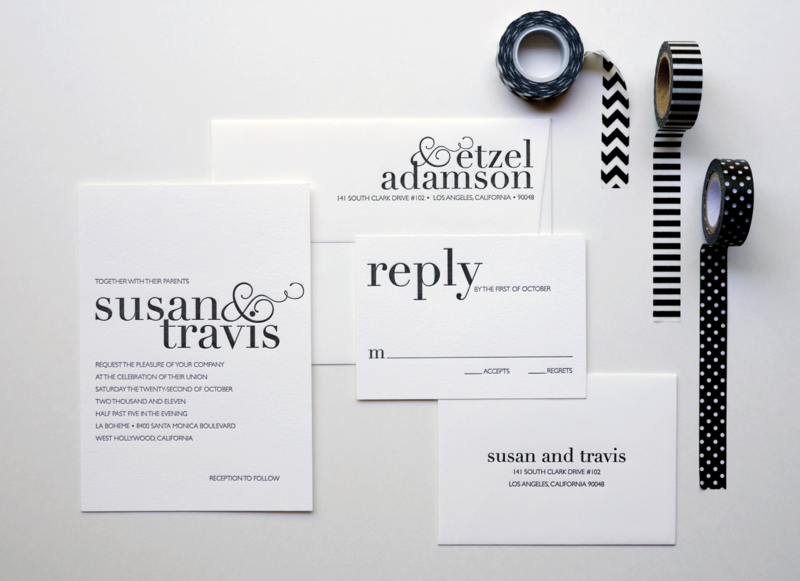 Using modern clean fonts, their names or a single word on each piece became the graphic element. 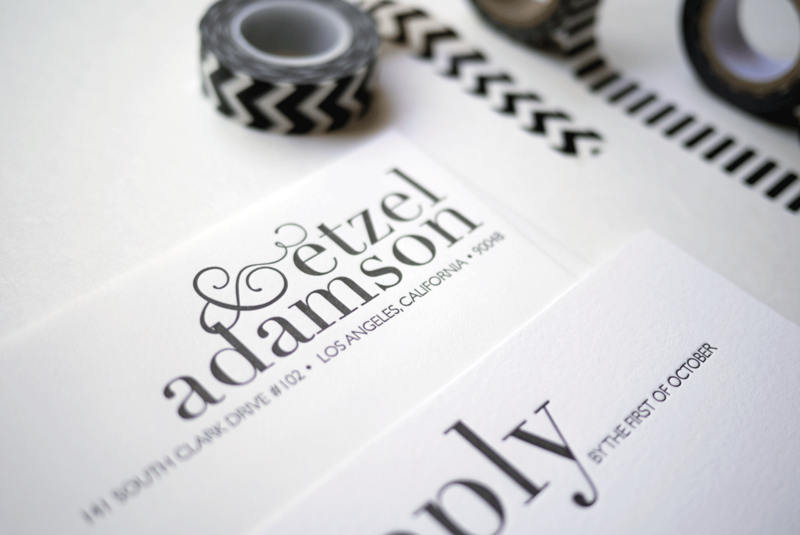 Black letterpress on cream cotton card stock. 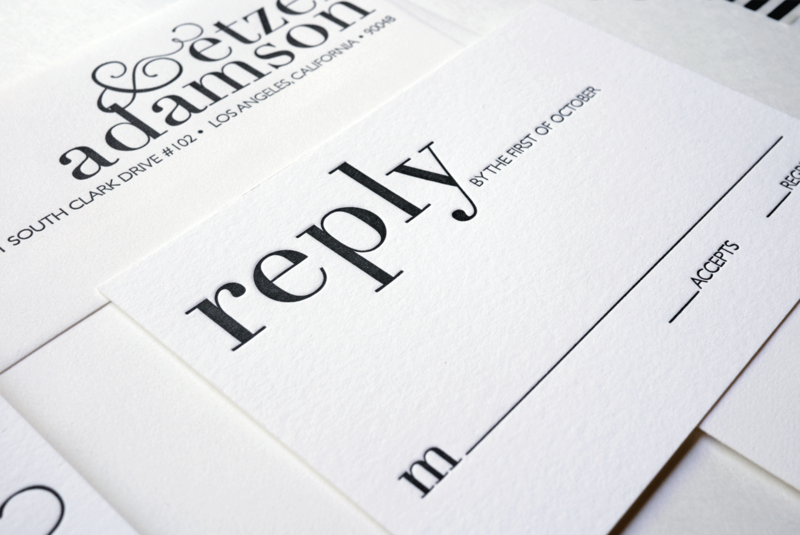 Suite included an invitation, envelope and rsvp set.